There is probably more controversy and misunderstanding around the subject of buying a home in the short sale process than any other type of home sale in Indianapolis. All the tales of short sales taking 6-8 months to close make buyers a bit apprehensive about tackling the process. And...rightfully so! Although you may go weeks or possibly a month before you hear anything about the offer you submitted, I have rarely had a short sale take more than three months from contract offer to close. This is about 2-3 times as long as a traditional sale, since most sales take 30-45 days to close. Regardless of which side of the sale you are on, time often seems to stand still in a short sale negotiation with banks. Bank’s rarely work in a time frame that is expedient for the buyer and seller. So, what can you expect when you are buying a short sale in Indianapolis. The type of financing a seller has can affect the time frame of bank approval on a short sale. FHA guidelines require an appraisal be done before the home is accepted into the short sale program. It may take a few months initially to process seller paperwork, order the appraisal and have a set price. Once that is accomplished, the listing agent knows exactly what the bank will accept. If you make an offer after this process has been completed, you can generally close on the home within 45 days. If the seller has conventional financing, the process is a little backwards. The bank generally will not order an appraisal or BPO and won’t look at the seller’s documentation until after there is an offer submitted. This takes longer to process and the buyer could be waiting up to three months to close. Should the seller have two loans, both loans have to be negotiated. I have had success negotiating both loans in the same 90 day period. Should you happen to be the first buyer to submit an offer on a short sale, you could very likely be waiting longer than the anticipated 90 days. As mentioned, if the seller has a conventional loan, their bank may not have even looked at their documentation or ordered an appraisal or BPO until they receive your offer. You could be looking at 30 days before you hear anything. Most short sales do require patience, however the equity you gain could be worth waiting for. You should have your real estate agent check comps for the area to decide the potential equity for the short sale home you are considering. If your timetable does not allow you to wait, a short sale may not be the best option for you. 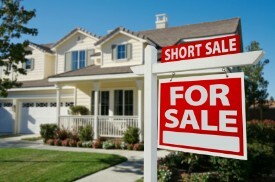 Very well explained about buying a short sale process. Buying a short sale is a waiting game but, return could be big. What a great time to buy!